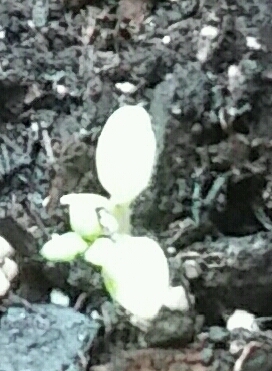 One tiny celery sprout emerged recently, but only one. I planted the pot very heavily so I'm beginning to think that the seed is simply not viable; and either order some more or forget it for this year. Feeling so crummy does not make me inclined toward gardening thoughts. But, I have one. Cecilia I call her. She is being pampered in every possible way, nice long drinks of seaweed fertilizer, uplifting conversation and a daily check to see if she is in need anything. I swear I saw another sprout unfolding but then one of the cats knocked off the lid and walked through the pot, Cecilia was thankfully spared. Homegrown celery is a wonderful experience, nothing like the stuff you get in the store which I have noticed lately is cellulose-like inside the stems, and goes bad in the fridge before I can use it up. 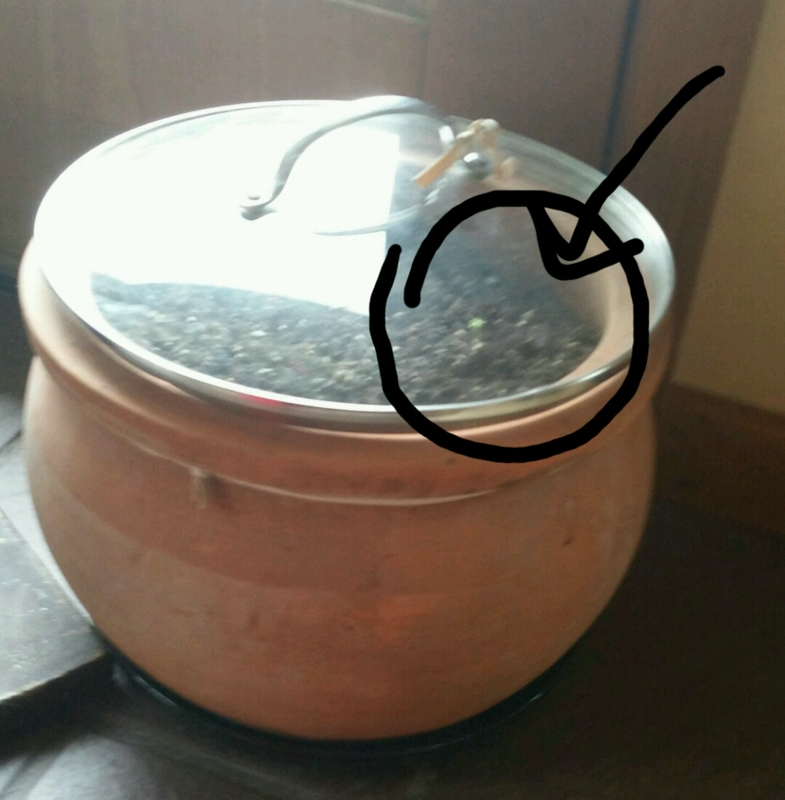 So I hold onto hopes for Cecilia as well as that some of her brothers and sisters sprout soon. Sure has been nice to get some rain at last. The husband is planting cabbage, broccoli and a couple of tomato plants. Very early for tomatoes, but we have water wells if it turns chilly and it's nice to get a jump start on tomatoes, perhaps my favorite plant that grows in the garden. It is difficult to chose between maters and asparagus. Btw the husband says that the asparagus is about an inch above ground. A day of sunshine and it well shoot up. Until the sun shines I'll be inside with Cecilia. Might try knitting today, but not sure I feel like doing anything like that. Apparently I felt like writing since I managed two entries. Please overlook my ramblings as the fever seems to have cooked my brain. Must work on getting it together as today is the day to order ticket to the Ziggy Marley concert on the shores of Lake Superior. The seating graph is rather a enigma to me.